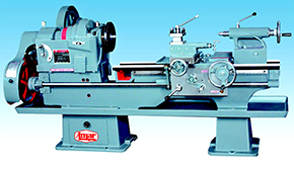 A lathe is a machine tool which rotates the workpiece on its axis to perform various operations such as cutting, sanding, knurling, drilling, or deformation with tools that are applied to the workpiece to create an object which has symmetry about an axis of rotation. 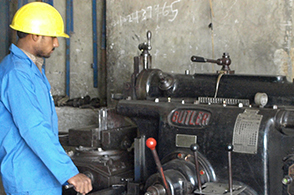 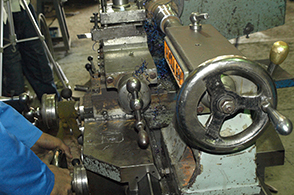 In a metalworking lathe, metal is removed from the workpiece using a hardened cutting tool, which is usually fixed to a solid moveable mounting, either a toolpost or a turret, which is then moved against the workpiece using handwheels or computer controlled motors. 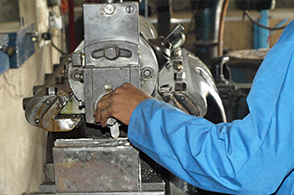 These cutting tools come in a wide range of sizes and shapes depending upon their application. 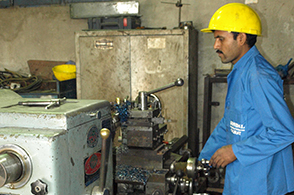 The toolpost is operated by leadscrews that can accurately position the tool in a variety of planes. 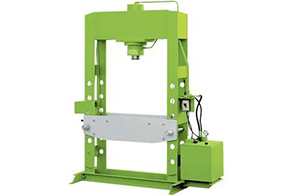 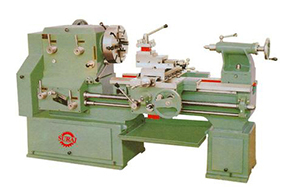 The toolpost may be driven manually or automatically to produce the roughing and finishing cuts required turning the workpiece to the desired shape and dimensions, or for cutting threads, worm gears, etc. 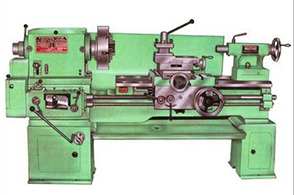 Manually controlled metalworking lathes are commonly provided with a variable ratio gear train to drive the main leadscrew. 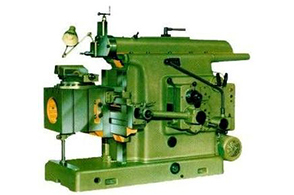 This enables different thread pitches to be cut.